Emily Olman returns to the Haas School of Business to speak to first and second year MBA students about her career in technology, founding Hopscotch Interactive, and her path to working in the burgeoning fields of virtual and augmented reality. Video available (check back soon). Hopscotch Interactive Wins "Most Creative" in Multimedia Mattertag Contest by Matterport. Hopscotch Interactive is pleased to announce that it has been featured as the Matterport Service Partner of the Month. MSP OF THE MONTHEmily Olman: Hopscotch InteractiveThis month we're highlighting Emily Olman of Hopscotch Interactive, a trusted MSP headquartered in Berkeley, California. While we normally reserve MSP of the month for a featured scan, we were too impressed with Emily's initiatives around co-marketing to pass up the chance to highlight her. The efforts set forth by her and her team are fantastic examples of bringing co-marketing activities to the table, and we want this example to shared with the entire MSP community. In April, the Hopscotch Interactive team will lead a hands-on workshop on Matterport 3D/VR at VRLA, the world's largest VR conference. According to VRLA's website: "The VRLA Expo hosts a thriving community of developers, entrepreneurs, enthusiasts and more, all excited and curious about this modern renaissance of virtual reality, augmented reality and immersive technology." This co-marketing opportunity was initiated and sourced by Hopscotch Interactive. Emily says: "The most fruitful marketing initiatives for me have been networking within the VR community. I began doing demos about a year ago, and I immediately got the value-proposition." Through her connections made in the community, she discovered the opportunity to showcase her expertise in VR and Matterport at VRLA. 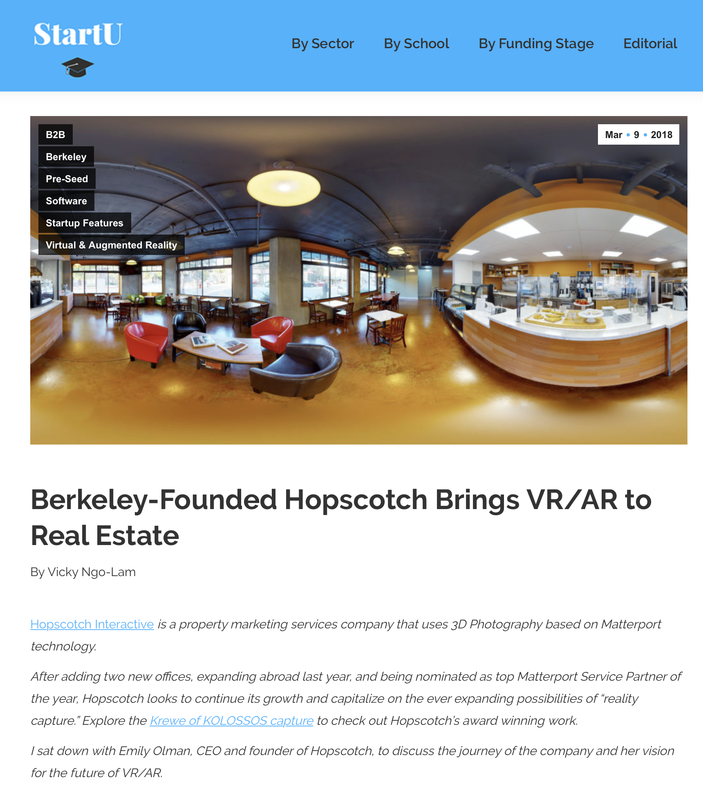 As early adopters of VR, the Hopscotch Interactive team is very excited to help drive continued awareness within the community, especially with Matterport at the forefront. One final take away from Emily: "If you're not following VR or AR, don't wait to study up on how it is completely transforming the future of business." This proactive effort to jointly grow both our businesses and help increase the visibility and mindshare of Matterport in the industry is just the type of initiative we're looking for from MSPs. If you have a co-marketing activity you'd like to submit to us for consideration, please email msp@matterport.com. About Hopscotch InteractiveHopscotch Interactive is a property marketing company for promoting extraordinary spaces in 3D/VR. An MSP since June 2015, Hopscotch Interactive has grown globally to have cameras at work in Northern California, Southern California, and Berlin, Germany. To learn more, visit http://www.hopscotchinteractive.com/.